Tickets are limited and will be available on a first come first serve basis. After the Show reaches max capacity— the RSVP list will be closed. Tickets are available for $15 till DEC 1st. Tickets purchased after DEC 1st will be $20 (if they are still available) so do not delay…Purchase now! 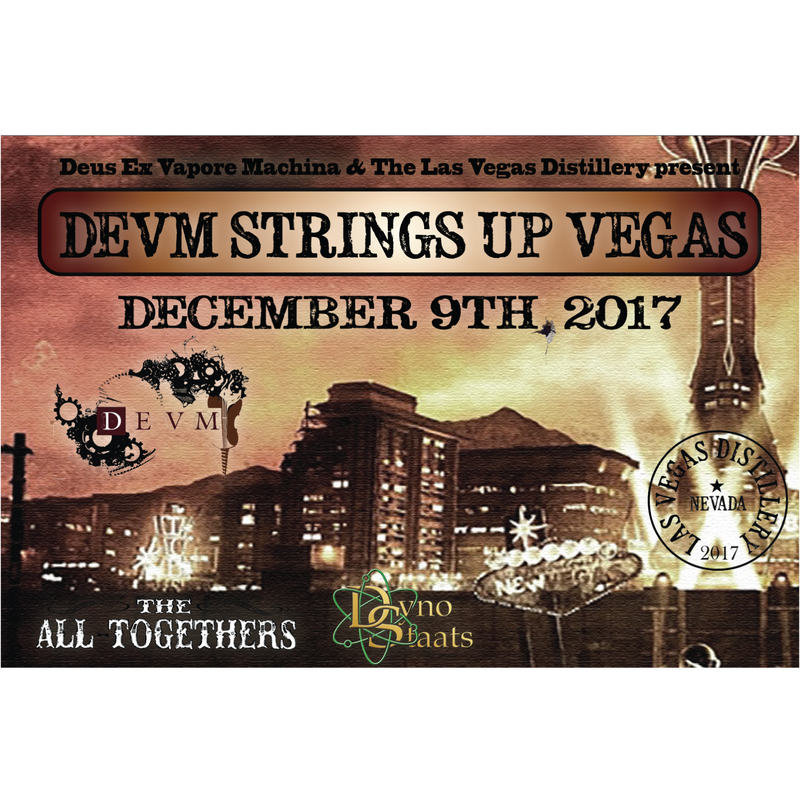 Single admission by the ticket holder to DEVM Strings Up Vegas. Please consider sharing the event with your social network…. we would love for all of your friends to come as well. 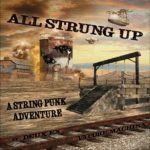 Get ready for a Steampunk Adventure! 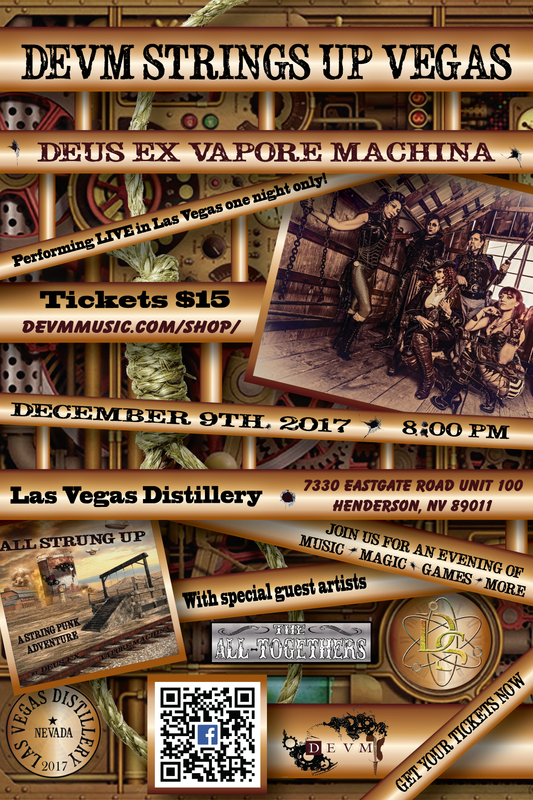 Not only will you be presented with the Steamy Stringpunk Musical Stylings of Dues Ex Vapore Machina (DEVM), but also Steampunk Magical Mysteries performed by the one and only Dyno Stats! 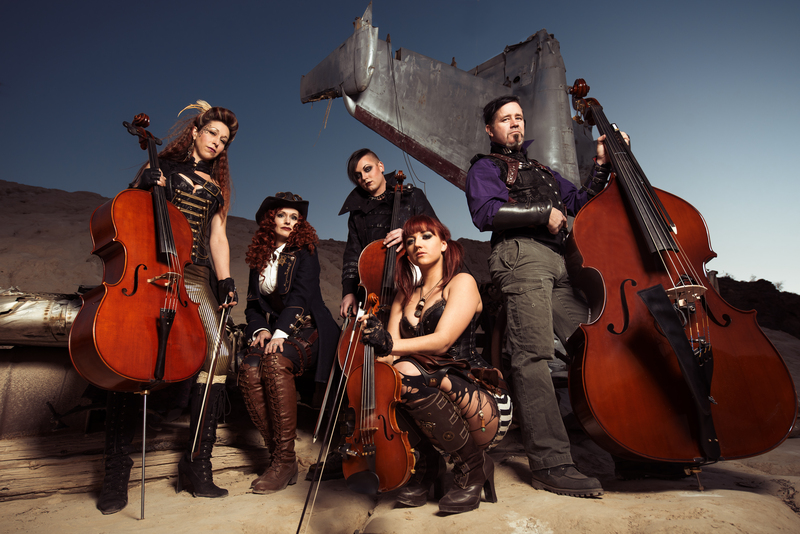 Oh…there is more…The All Togethers are joining our Steampunk Adventure for the evening and will be presenting some of their Melodious Musings for your listening pleasure. 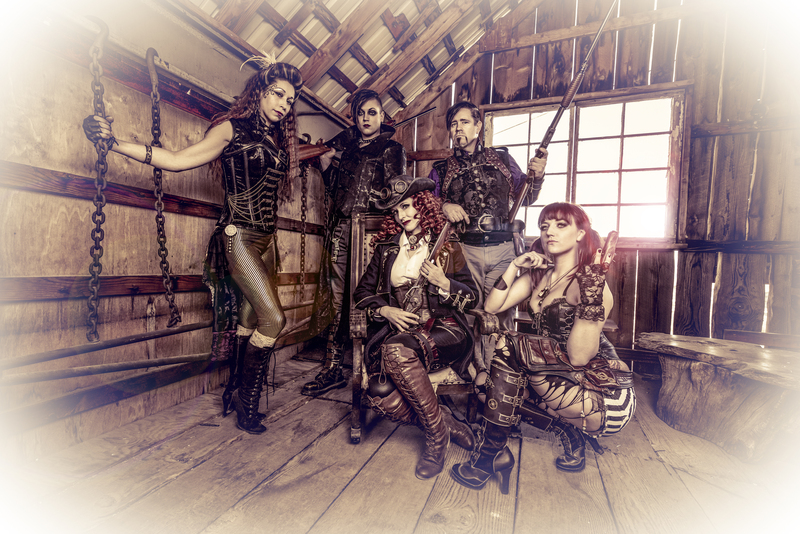 And if you are feeling extra steamy and want to dress the part, DEVM will be hosting a Steampunk Costume Contest. DEVM will have a few other tricks up their sleeves for the evening for those that dare partake. 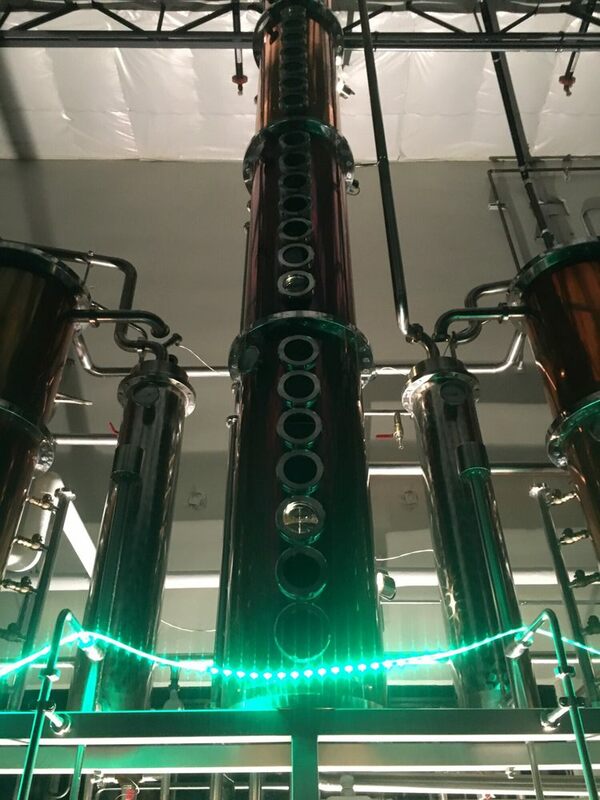 We are excited to announce the backing of our new performance location: The Las Vegas Distillery! 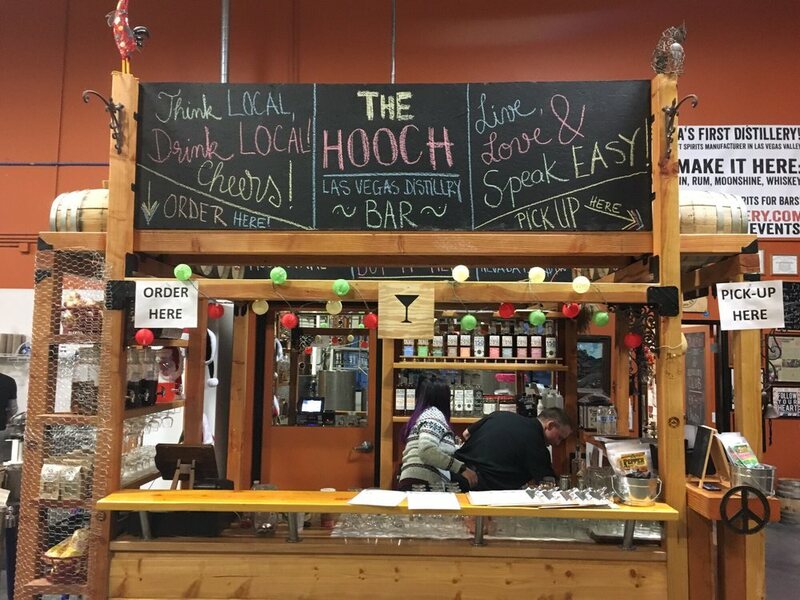 In such a glorious establishment, during our private event, those that are 21 or over may purchase delectable libations. Tickets are limited and will be available on a first come first serve basis. After the Show reaches max capacity— the RSVP list will be closed. Tickets are available for $15 till DEC 1st. Tickets purchased after DEC 1st will be $20 (if they are still available) so do not delay…Purchase now!